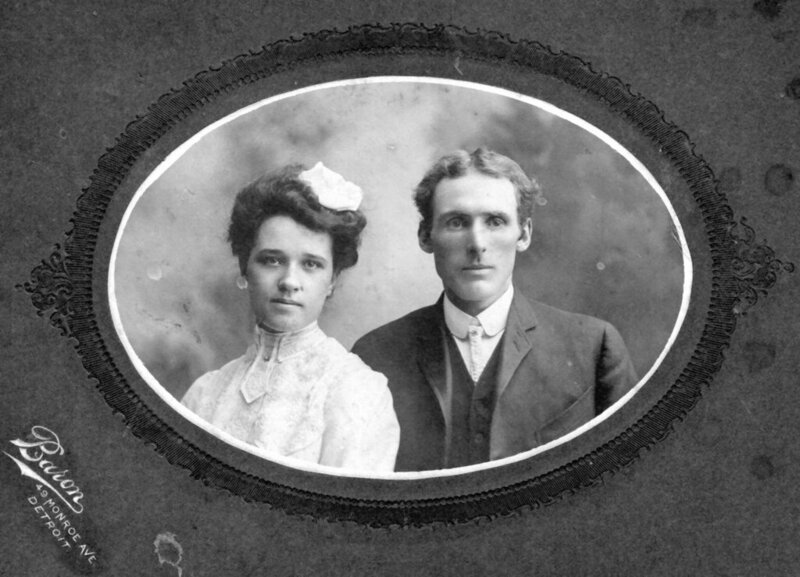 Comments: Arthur Shiells (Nee: ) | Cornwall ON Canada | 1901-1920 | Comments: My Great-X1 Grandparents wedding portrait (1905): Arthur Shiells, born 1880 in Kalamazoo, Ile Jesus, Quebec, Canada to James Tait Shiells & Janet Muir. Alice Dow Wood born 1884 in Potsdam, St.Lawrence, New York, US to Daniel Wood & Mary Ann Dow. Married in Cornwall, Stormont, Ontario, Canada in 1905.